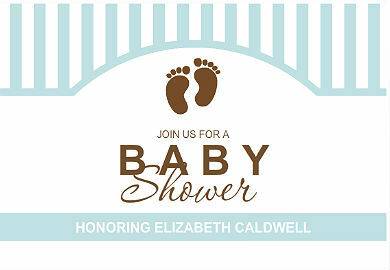 Our favorite designs for a baby shower footprint invitation. Browse classic feet or trendy feet for this timeless theme. 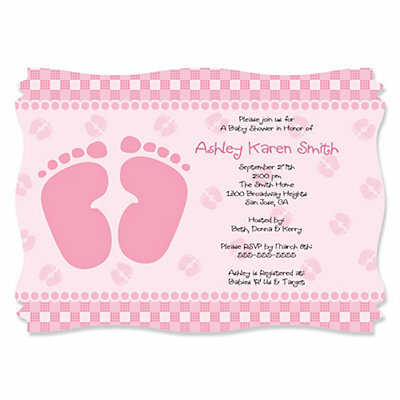 For under, $2.00: Custom invites for girls, boys, twins and multiples, at BabyShowerStuff and Big Dot of Happiness. PurpleTrail.com has lots of great footprint invites. cards, will be really easy to find. Search the internet to find free or inexpensive clip art images. Please feel free to download images from our site as well. Use our images as they are…or add your own personal touch by using a photo editor, or your free-hand talent. Choose your ideal paper stock. It should be mid to heavy weight. If you plan to use your home printer, be sure the paper you choose is compatible with it. 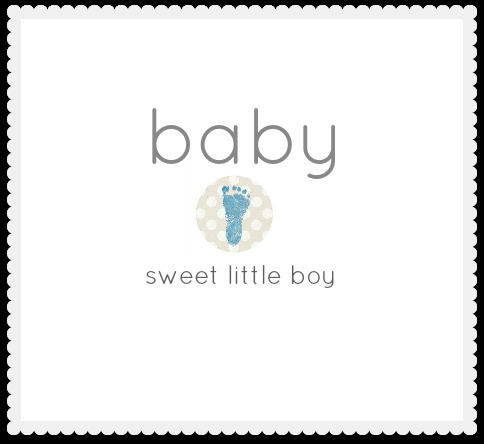 Check craft stores for rubber stamping supplies, rub-off decals (images that are transferred to paper by pressure transfer), or mini-embellishments that can be attached to card stock. Paper punches in the shape of baby feet, are easy and fun to use. Think about using gender specific colors, the colors of the season, patterns, textures, or gold and silver. If the shower is for twins, use two sets of prints, or use one pink and one blue footprint. Look for clip art of little baby ink-footprints, or baby feet imprints. If you have a birth certificate or keepsake from your own child, take a picture with a digital camera and do a little editing to create your own invitation image. TIP: If the shower is taking place after the baby is born, mom-to-be may already have baby feet imprints available and ready for a picture. This could be the perfect for the invitation, and/or the thank you cards. Plaster should NEVER be used on baby’s skin-it heats up! use hot-glue and tissue paper. Use a hot glue gun to draw an outline of a baby footprint. Once the glue is dry, measure a piece of tissue paper that will cover the entire baby footprint with a 1/2 inch over-hang on all sides. Use a paper glaze to mold and adhere the tissue paper to the card and the raised image. Add a few strokes of glitter glue for a little elegance. TIP: Create your embossed footprint on flat card stock, then attach it to the invitation. This is a great way to get practice and eliminate mistakes on the actual invite- of course, yours will be perfect.